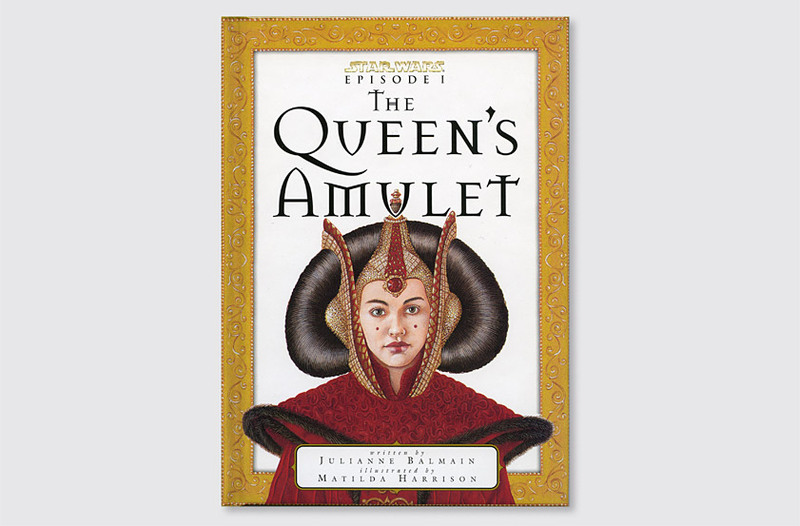 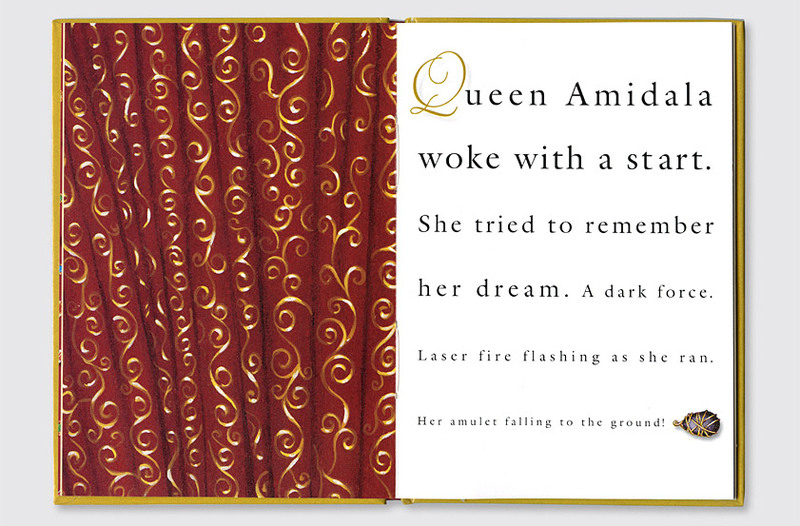 The Queen’s Amulet, published by Chronicle Books, tells the story of Queen Amidala, a central character of Star Wars Episode 1. 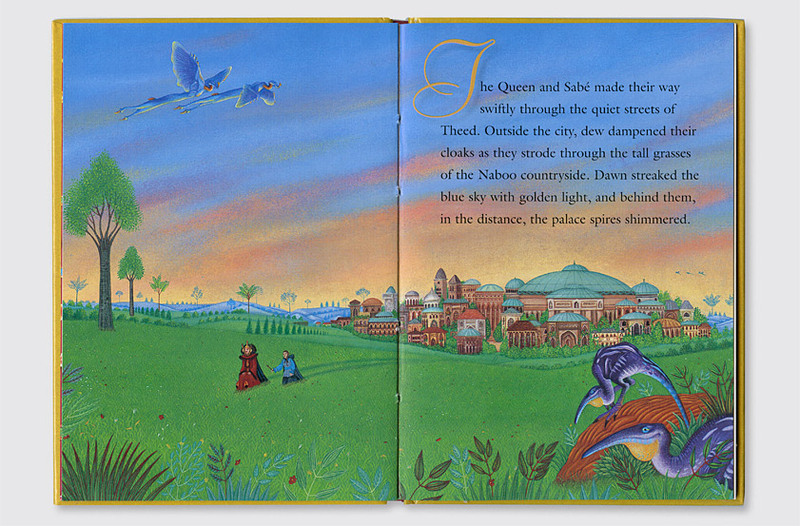 Our solution comes complete with an illustrated book and functional keepsake locket housed in a reusable jewelry box. 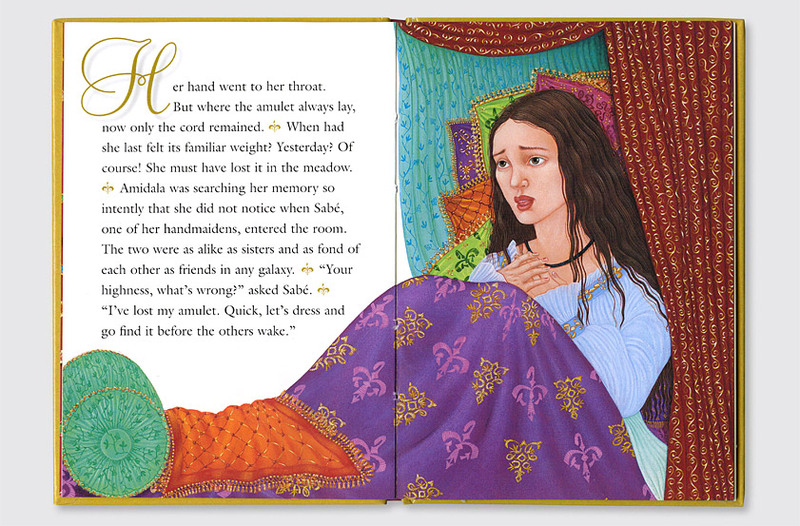 Targeted towards young girls 8 to 12, the richly traditional typography and finely detailed illustrations create a classic children’s storybook appeal. 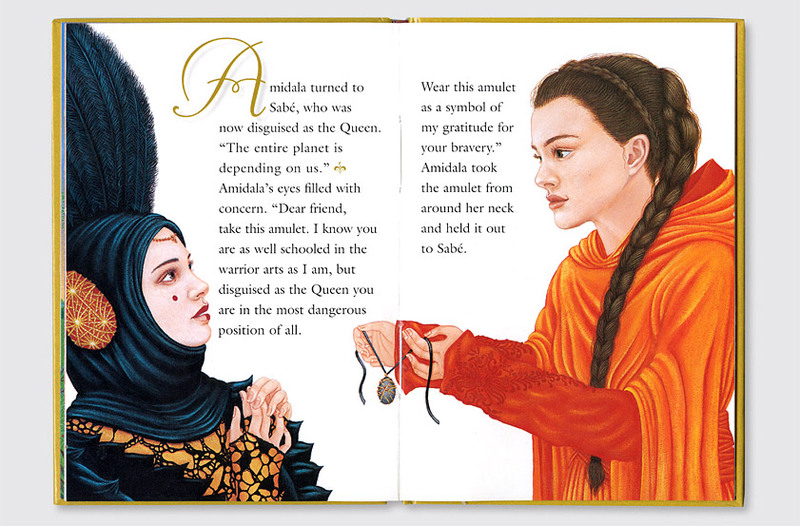 The locket is easily removed from the package to be worn by the user. 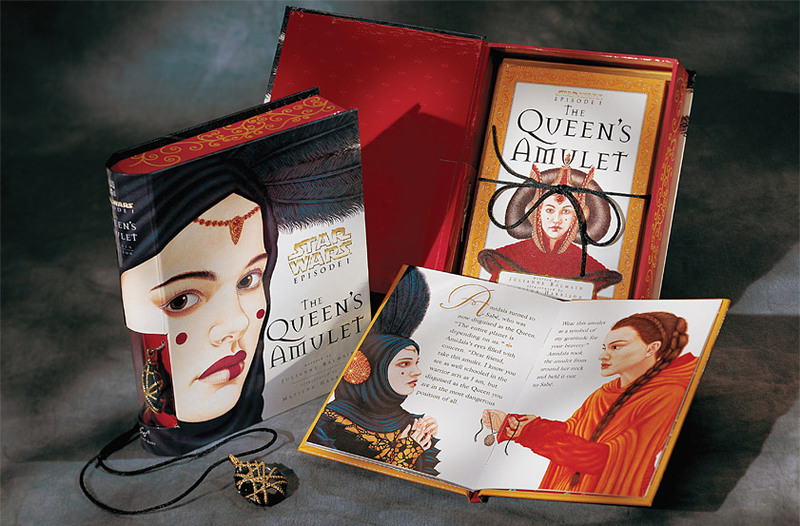 The jewelry box provides ample storage upon removal of the cardboard liner.